The Good Life Elsewhere is a very funny book. It is also a very sad one. 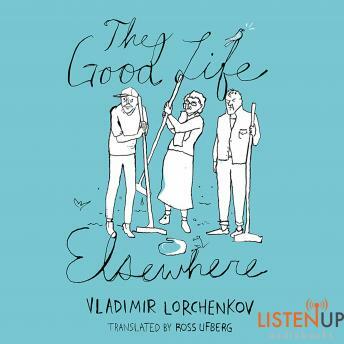 In it, Moldovan writer Vladimir Lorchenkov tells the story of a group of villagers and their tragicomic efforts, against all odds and at any cost, to emigrate from Europe's most impoverished nation to Italy for work. This is a book with wild imagination and heartbreaking honesty, grim appraisals alongside optimistic commentary about the nature of human striving. This is a bleeding, wild work, grotesque in every twist of its plot and in every character, written brightly, bitterly, humorously, and honesty. Is it possible for lovely Italy to take the place of both hell and paradise, as well as one's most cherished dream?